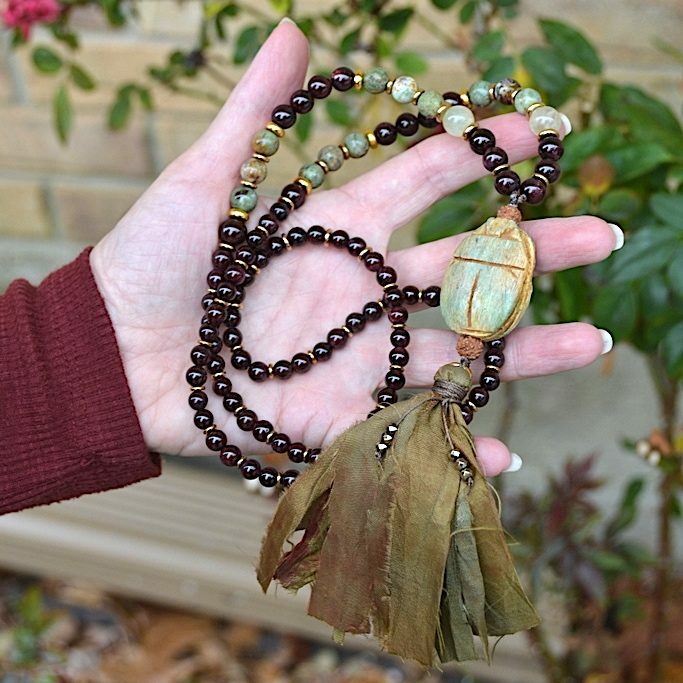 108-bead mala; Ceramic Scarab, 6mm, 8mm & 10mm Garnet, African Opal and Prehnite beads with brass spacers, Rudraksha seeds and hand-made recycled silk sari tassel. 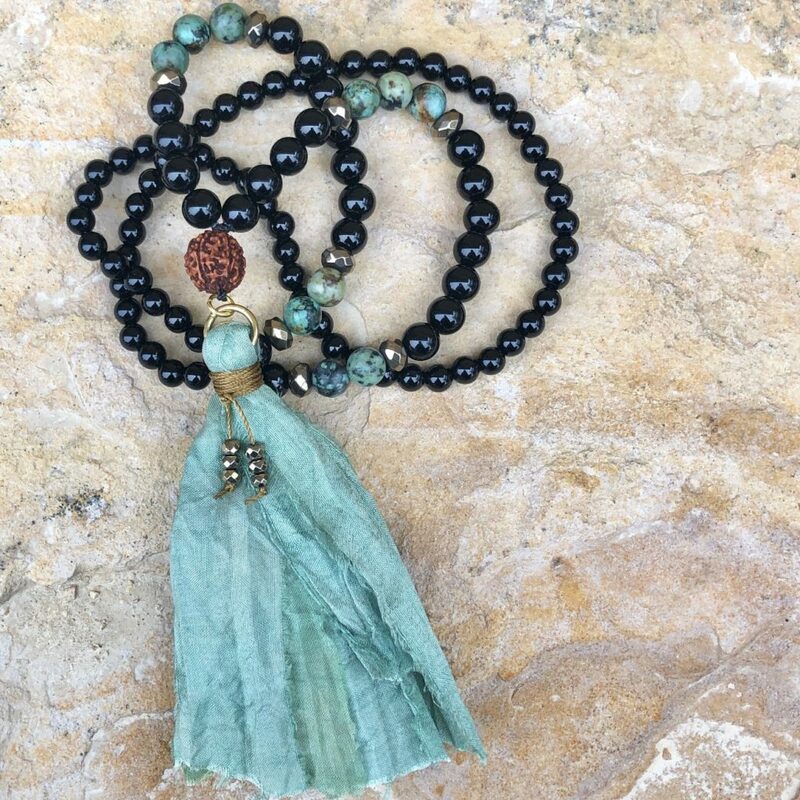 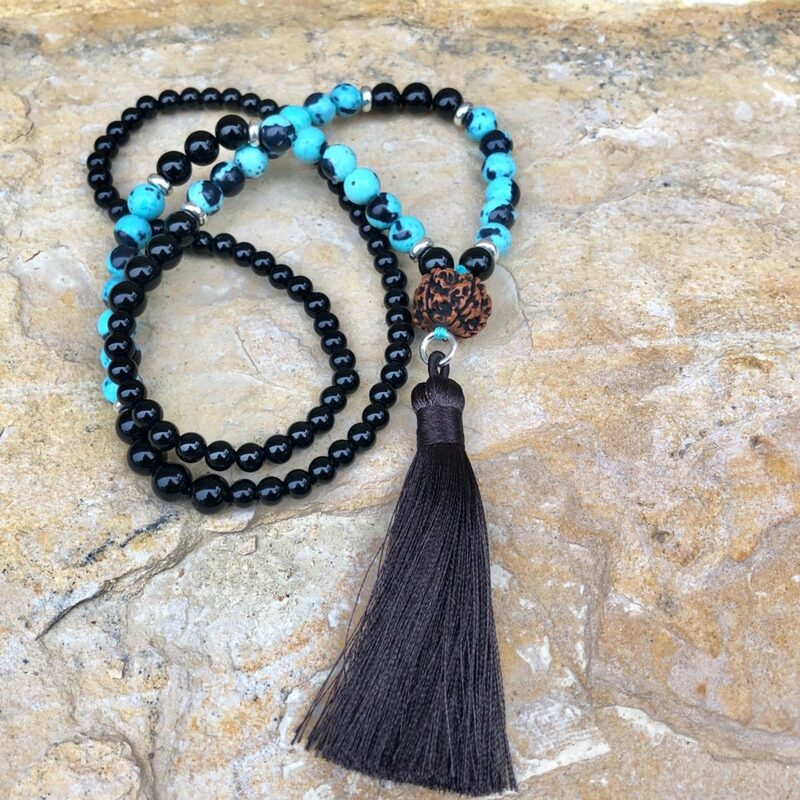 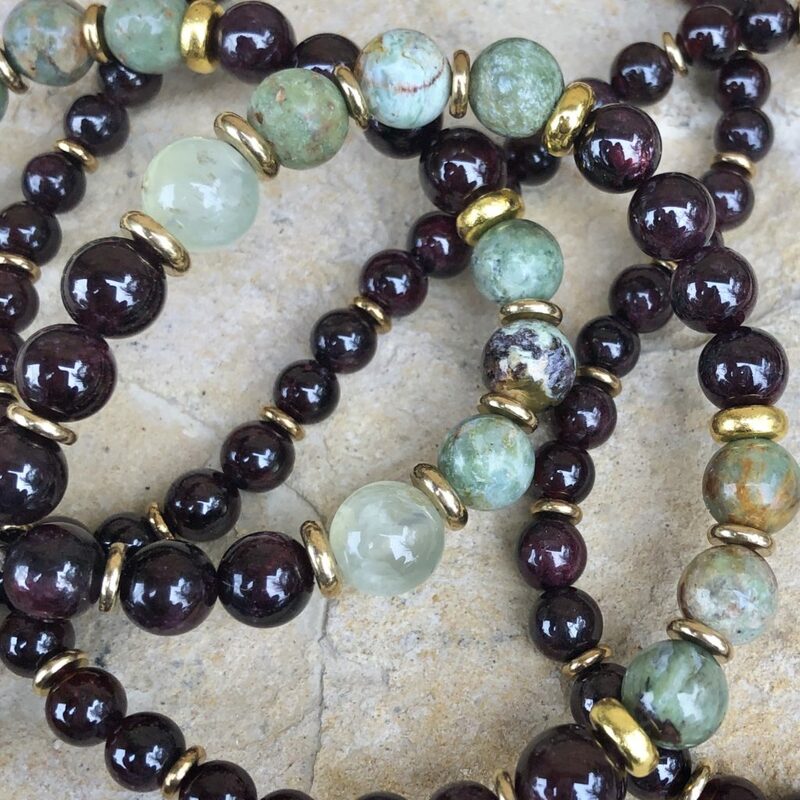 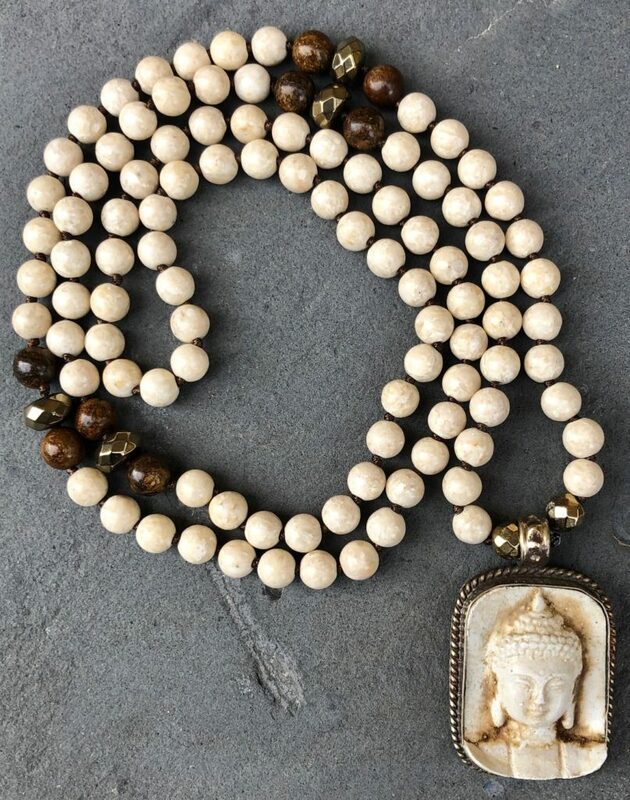 This mala is strung on a strong nylon cord and measures approximately 22 1/2 inches in length. 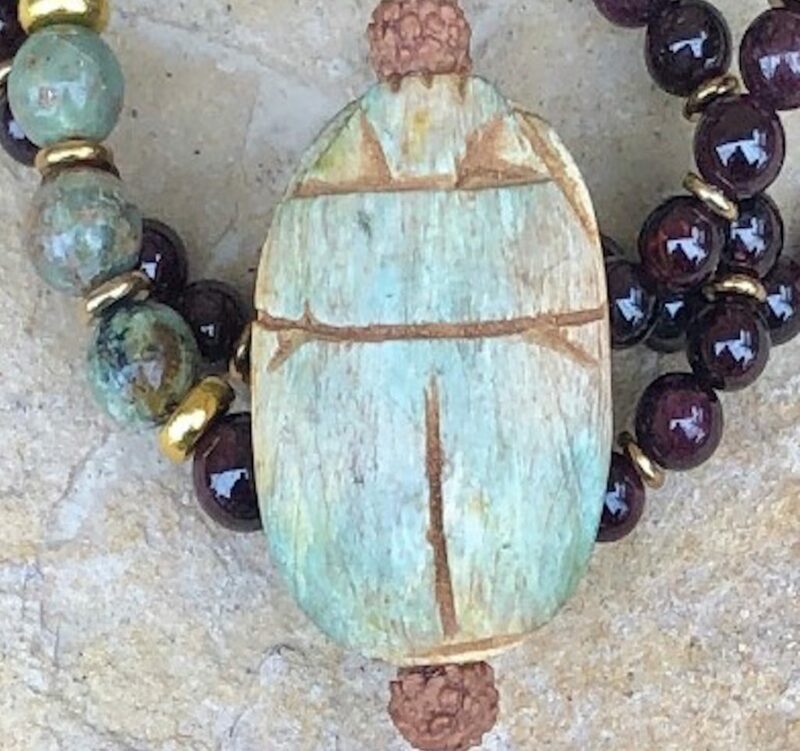 Scarab: In ancient Egypt, the Scarab beetle symbolized the sun & rebirth. 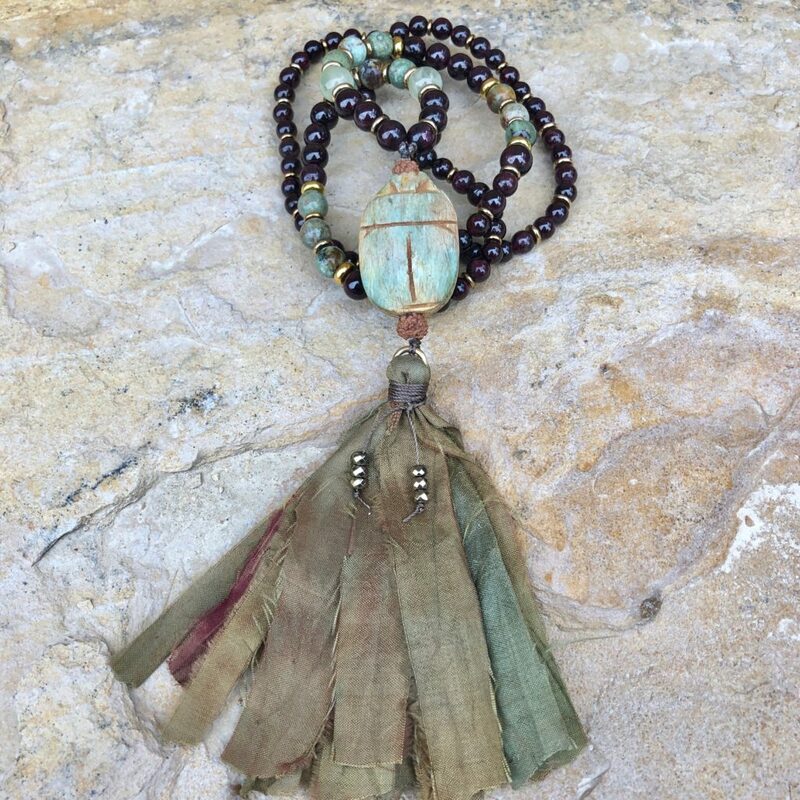 It was a representation of immortality, resurrection and transformation. 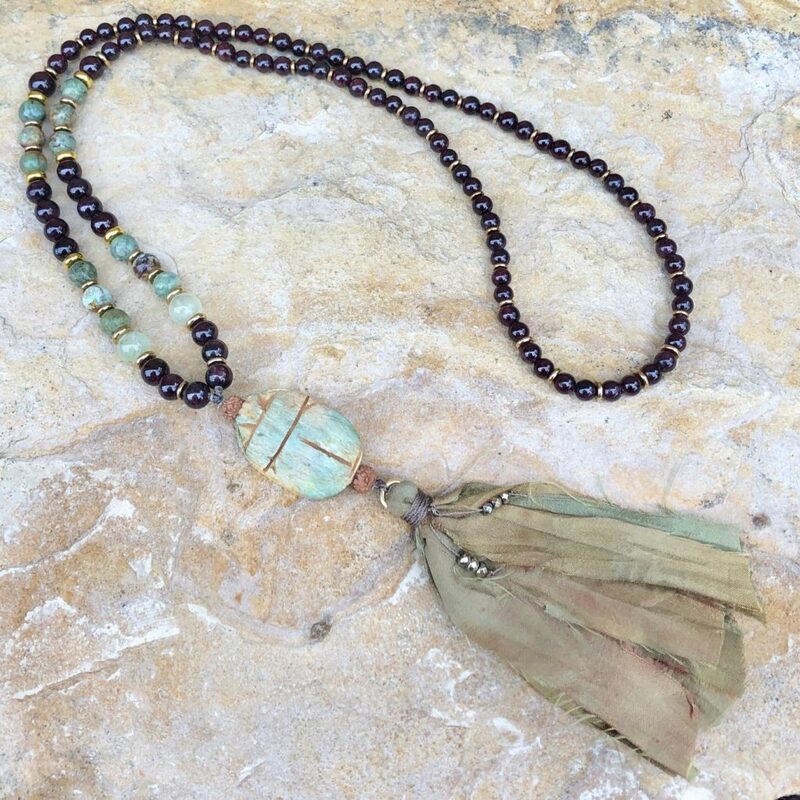 This piece is designed, handcrafted and infused with loving intention by me. 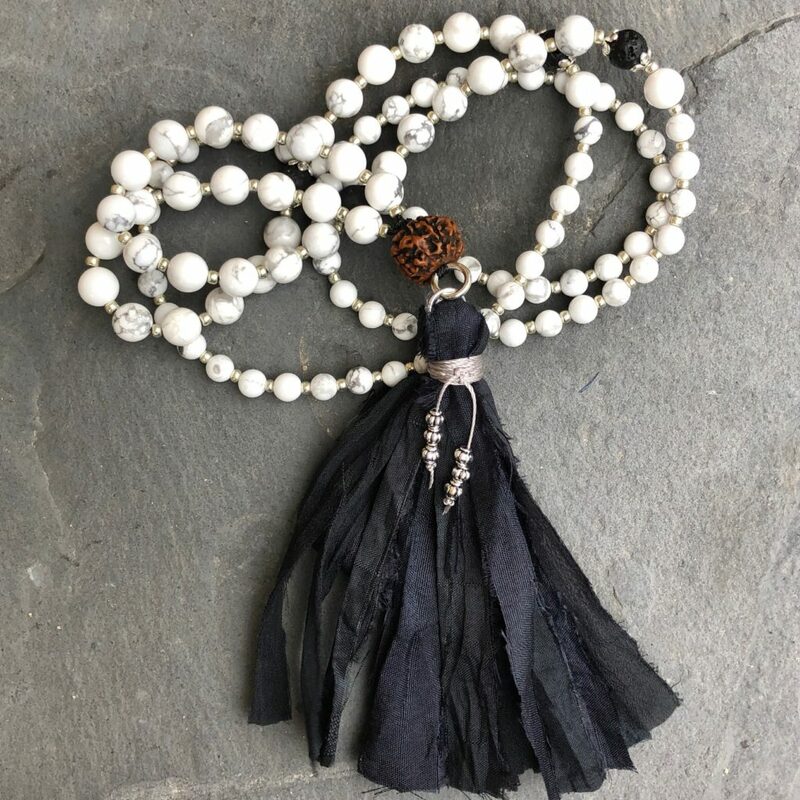 Just as no two natural beads are alike, no two offerings will be exactly the same, making each uniquely sacred and personal.